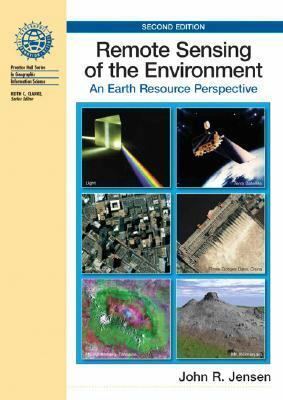 This popular book introduces the fundamentals of remote sensing from an earth resource (versus engineering) perspective. The author emphasizes the use of remote sensing data for useful spatial biophysical or socio-economic information that can be used to make decisions. Provides two new chapters on LIDAR Remote Sensing (Ch. 10) and In situ Spectral Reflectance Measurement (Ch. 15). Offers a thorough review of the nature of electromagnetic radiation, examining how the reflected or emitted energy in the visible, near-infrared, middle-infrared, thermal infrared, and microwave portions of the spectrum can be collected by a variety of sensor systems and analyzed. Employs a visually stimulating, clear format: a large (8.5" x 11") format with 48 pages in full color facilitates image interpretation; hundreds of specially designed illustrationscommunicate principles in an easily understood manner. A useful reference for agriculture, wetland, and/or forestry professionals, along with geographers, urban planners, and transportation engineers.John R Jensen is the author of 'Remote Sensing of the Environment: An Earth Resource Perspective (2nd Edition)', published 2006 under ISBN 9780131889507 and ISBN 0131889508. Loading marketplace prices 76 copies from $20.77 How does the rental process work?